IL B&B "LA CASA DI MARIÙ" GODE DI UNA MERAVIGLIOSA VISTA PANORAMICA SUL GOLFO E SORGE IN UNA DELLE PIÙ BELLE BAIE DELLA SICILIA, INCASTONATA TRA IL GOLFO DI TINDARI E CAPO MILAZZO, DI FRONTE ALLE ISOLE EOLIE. LA VILLA DISPONE DI UN GRANDE SOLARIUM SPAZIOSO IN CUI RILASSARSI E PRENDERE IL SOLE IN UN AMBIENTE TRANQUILLO ED ESCLUSIVO, CIRCONDATO DAL VERDE DELLO SPLENDIDO GIARDINO, CURATO CON PASSIONE DALLA PADRONA DI CASA. IL MARE E LE BELLISSIME SPIAGGE DEL LITORANEO DISTANO APPENA 1 CHILOMETRO DAL B&B. LE CAMERE AMPIE, LUMINOSE E CON VISTA PANORAMICA, SONO DOTATE DI OGNI CONFORT E UNA MEGA COLAZIONE, A BASE DI PRODOTTI TIPICI SICILIANI, È INCLUSA NEL PREZZO DEL PERNOTTAMENTO. SU RICHIESTA È DISPONIBILE IL SERVIZIO DI TRANSFER DA E PER L''AEROPORTO DI CATANIA. SONO INOLTRE DISPONIBILI, SEMPRE SU RICHIESTA, LA PRENOTAZIONE DI VISITE GUIDATE SULL''ETNA, A TAORMINA, PALERMO, CEFALÙ E IN TANTE ALTRE LOCALITÀ[pv] PICCOLI TOUR IN BARCA DELLE ISOLE EOLIE[pv] POSSIBILITÀ DI PRATICARE SPORT ACQUATICI O DI PARTECIPARE A SERATE MONDANE A PORTOROSA, MILAZZO, TINDARI E CAPO D''ORLANDO[pv] MASSAGGI E TRATTAMENTI ESTETICI CON UNA STRUTTURA CONVENZIONATA CON IL B&B[pv] CURE TERMALI PRESSO LE SPLENDIDE TERME "FONTE DI VENERE" CHE DISTANO SOLI 7 CHILOMETRI DAL B&B E TANTO ALTRO. BAGNO, RISCALDAMENTO, ARIA CONDIZIONATA, INTERNET WI-FI GRATUITO, ASCIUGACAPELLI, PULIZIA. 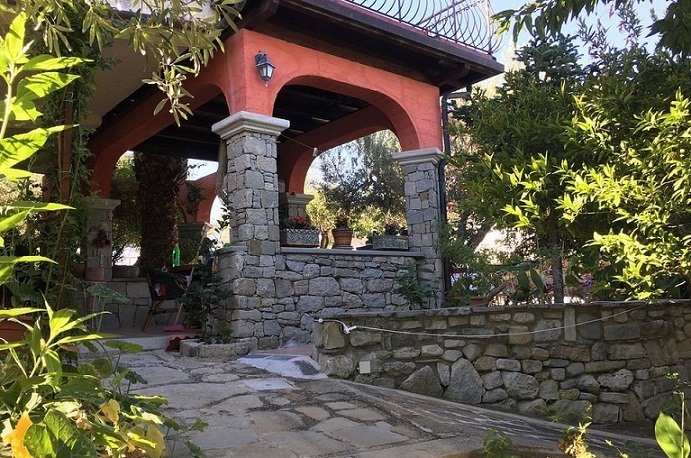 COLAZIONE, LIVING ROOM, INTERNET WI-FI, ARIA CONDIZIONATA, RISCALDAMENTO, MAPPE E MATERIALE INFORMATIVO, PARCHEGGIO, CURE TERMALI, MASSAGGI CON STRUTTURE CONVENZIONATE, ESCURSIONI GUIDATE, GIARDINO, ORGANIZZAZIONE SERATE MONDANE.